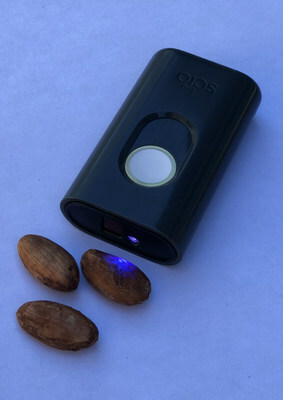 SAN FRANCISCO, April 16, 2019 /PRNewswire/ -- Olam Cocoa expands its digital initiatives by equipping their field and purchase managers at cocoa collection points with SCiO devices, from Consumer Physics. Vijay K. Karunakaran who is the Olam Cocoa Indonesia business head said, "Olam Cocoa has been working with smallholder farmers across the value chains it operates in, for years. Due to the scale of transactions and complexity of field analysis of the produce, traditional intermediaries have had a role to play. But with technological developments, including IoT, Olam Cocoa is now leveraging its digital platform to directly reach the first mile of the cocoa supply chain. SCiO, a NIR based pocket spectrometer is one such key initiative enabling Olam Cocoa's ambitions of capturing advanced data at farm-gate. This helps in timely, correct and on the spot quality assessment – therefore allowing Olam Cocoa to make deeper inroads in its cocoa value chain, while giving the smallholder farmers a fair price through accurate quality assessment." 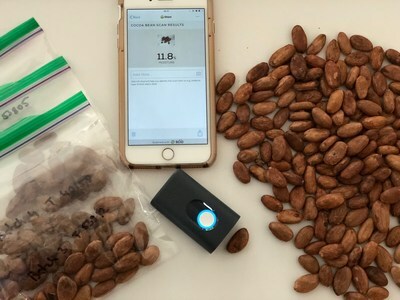 "We are proud to have been chosen by Olam International and it is rewarding to see SCiO used by frontline smallholder cocoa farmers," said Dror Sharon, CEO and Co-Founder of Consumer Physics, the makers of SCiO. "This is an exciting example of fulfilling our vision for the global democratization of digital material sensing. Adoption of our enterprise solutions has expanded rapidly and sales have grown over nine-fold since the first launch over a year ago, with customers in diverse industries and geographies. The Fourth Industrial Revolution is impacting every single enterprise and SCiO enables our customers to expedite their use of advanced digital tools. By providing ten to a thousand times more data points, our sensors put science and AI at the hands of farmers and agronomists all over the world, with benefits accruing to the entire food and agriculture supply chain." Through our purpose to 'Re-imagine Global Agriculture and Food Systems,' Olam aims to address the many challenges involved in meeting the needs of a growing global population, while achieving positive impact for farming communities, our planet and all our stakeholders. Olam is a leading originator of cocoa beans, a globally leading cocoa processor, and the world's foremost focused supplier of cocoa beans and cocoa ingredients (cocoa powder, cocoa butter and cocoa mass), Olam Cocoa is a fully integrated cocoa business. As one of the world's leading suppliers of sustainable cocoa, Olam Cocoa is accelerating progress towards the goal of 100% traceable cocoa volumes from its direct origination supply chain by 2020. Cocoa beans are sourced from all major origins across Africa, Asia and South America from a network of 650,000 cocoa farmers. Olam Cocoa's portfolio of ingredient brands is led by deZaan, with its heritage of more than 100 years of excellence, as well as African origin brand Unicao, South American origin brand Joanes, the regional Macao and Husyman cocoa powder brands, the Britannia confectionery and specialty fats brand and the recently added BT Cocoa brand. Olam Cocoa has a global cocoa bean grind capacity in excess of 820,000 metric tonnes, and a refining and milling presence of over 80,000 metric tonnes in, or adjacent to, primary consumption markets in Europe, the Americas, and Asia. Consumer Physics' mission is to empower people and organizations with a better understanding of our physical world using SCiO – the world's only pocket-size NIR spectrometer (Near Infrared) that is cloud-connected and smartphone-operated. SCiO enables real-time decision making by transferring material analysis out of the lab and into the field, production line, or distribution center. SCiO's connected lab-grade analysis, affordable price, and ultra-portability enables enterprises to track, monitor, and optimize supply-chain efficiency at every stage, exactly where needed. Consumer Physics was founded in 2011 and it is backed by Khosla Ventures, OurCrowd, Spruce Capital Partners, and other leading investors.